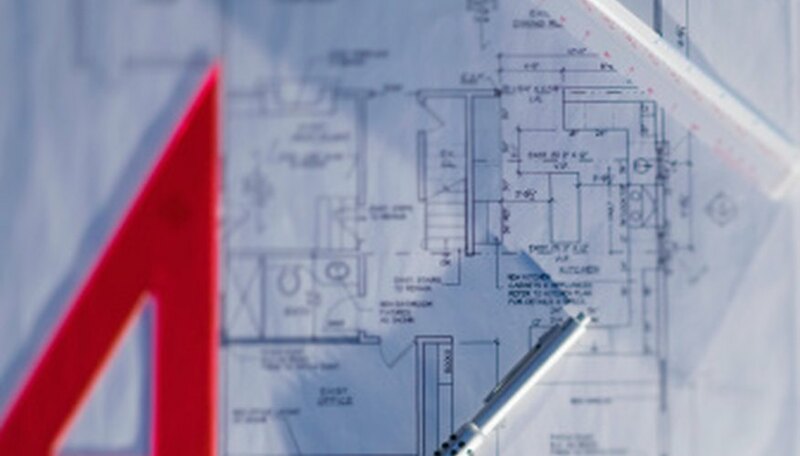 When designing a home or simply making a plan for remodeling, floor plans are a useful tool. When you are first dreaming up ideas for your new room or are looking for ways to rearrange a room you already have, you might begin by drawing out potential room plans. Once you select a plan, however, it is a good idea to transfer your plan into a neater and more permanent format. Learn how to turn your hand-drawn room plans into neat and tidy computer documents. Measure the length and width of the room and record these measurements on a piece of paper. Open the program on your computer you plan to use to draw your room plan. Use the line tool to draw the outline of your room on the computer. If your program has a graph paper feature, you may decide to draw your room plan to scale. Assign a measurement value to each square, such as one square equals one, and use your room measurements to draw the room outline accordingly. Use the rectangle shape tool to draw in windows and doors on your floor plan. Choose a method of differentiating between windows and doors. For example, you might use a solid rectangle to represent a window and an open rectangle to represent a door. Use the shape tool to draw furniture in the desired placement in the room. You do not need to add a great deal of detail -- using simple shapes like a rectangle for a bed and a square for a chair is sufficient for a simple room plan. Label the different pieces of furniture using the type tool, if you desire. Because you are using simple shapes to depict pieces of furniture, labeling each piece might help you to visualize the room. Play around with the placement of things, if you desire, until you discover an arrangement you like. To move an item you have already drawn, use the select tool to highlight the item and drag the mouse to move it. Add color to your completed room plan, if you desire, by using the paintbrush or paint bucket tools. To use the paint brush, select a color from the color wheel or palette and click and drag the mouse in the places you want to color. To use the paint bucket, select the color of your choice and click on the shape you want to fill with that color. Print out your room plan and use it for your purposes. If you are rearranging furniture, keep the plan with you for reference as you move things. If you are designing or remodeling a room, add the plan to your file to use as reference when working with contractors. You may choose to draw out a room plan sketch by hand before putting it on the computer so you know exactly what you are doing when you begin to create the digital copy.